A number of outlets have been highlighting findings published by Tes, formerly the Times Education Supplement, shortly before the June 8th snap election. These reveal a huge majority of teachers at primary, secondary, and special schools planned to back left liberal political parties on polling day – and the results of dozens of school mock elections around the same time suggest their biases are filtering down to their pupils. Tes surveyed 1,222 primary, secondary, FE, and Special Educational Needs and Disabilities (SEND) teachers. Fully 72 per cent of secondary school teachers said they would back Jeremy Corbyn’s Labour Party, along with 10 per cent who were supporting the Liberal Democrats. Only 8 per cent intended to vote for the Conservative Party. The numbers were similar for primary school teachers, with 65 per cent backing Corbyn, 10 per cent backing the Liberal Democrats, and just 7 per cent behind the Tories. Special school teachers produced an only slightly different picture, with 53 per cent backing Corbyn, three per cent backing the Liberal Democrats and 11 per cent behind the Tories. 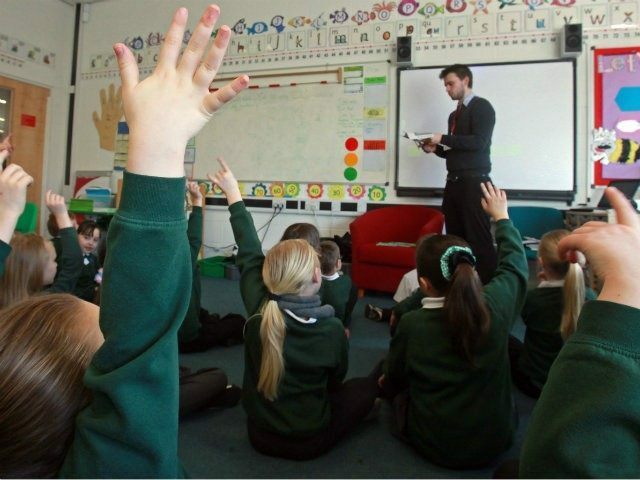 An unusually large 20 per cent of special school teachers were clumped together under ‘Other’ – which would include the Green Party, the left liberal Scottish and Welsh separatist parties, and, less likely, the right wing UK Independence Party, as well as some much smaller parties and independents. Perhaps unsurprisingly, given their teachers’ sympathies, an overwhelming majority of school pupils below the legal voting age also backed left liberal parties in Tes-organised mock elections, with Jeremy Corbyn’s party claiming 72 schools compared with 15 for the Tories. The headteacher of a ‘United Nations Rights Respecting School’ even quipped that his primary’s mock elections persuaded him that “the voting age should be reduced to four“. The influence of teachers and university faculty over young people may be having a significant impact on Britain’s political landscape, with many commentators suggesting that increased turnout among 18-25-year-olds was responsible for Theresa May’s unexpectedly poor performance in the elections – despite the fact she won millions more voters than previous Tory leader David Cameron.